GNM Nursing 2019- Course Details, Selection Process, Career Scope etc. Home Medical Entrance Exams GNM Nursing 2019 – Check Dates, Eligibility, Selection, Career Opportunities etc. 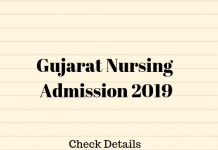 GNM Nursing 2019 – Check Dates, Eligibility, Selection, Career Opportunities etc. Diploma in General Nursing and Midwifery is known as GNM Nursing 2019. It is basically a three to four-year duration course in Paramedical Field. The objective of this profession is to provide care to individuals, families, and communities. The Indian Nursing Council is the main conducting body of the GNM 2019 Nursing and Midwifery. However, through GNM Nursing, candidates can pursue their career in Clinical Nursing. The course structure of colleges that offer GNM Nursing varies from University to University. Before Moving to the details, let us take a quick look at some of the top colleges which offer GNM Nursing Courses. So, in this article we have provided complete details about General Nursing and Midwifery Admission as well as Academic details. Read here to know more about the Nursing Entrance Examinations. The University offers an average tuition fee of Rs 10, 000 to 5 Lakhs for a time period of 3 to 4 years. Generally, the course duration of this course is 3 to 4 years, also there are some Institutions that offer a six-month Internship after the end of the course well. You can also go for this course on a part-time basis as well. Thus, you have good career opportunities in this field. The GNM Nursing is a three to four-year course diploma programme that is designed for the students who want to pursue their career in Clinical Nursing Program. The Course programmes teach the aspirants how to take care of the patients and help them to attain recovery. The GNM 2019 Nursing Program includes both theoretical and practical knowledge to the aspirants who want to pursue their career in this. As said, some of the Universities offer a six-month Internship Course at the end of the Course. After the completion of the Internship Program, the applicant gets a Diploma Degree. In Short, this is a three and half year course program with Internship mandatory for all the candidates. 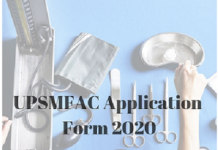 And now, if I talk about the Profession, then this course program is designed in a way to make the students capable of working and making their path in the Medical and Healthcare Community. Applicants who are willing for Higher Education can also go for further courses. Hence, the Nursing Career is all about taking care of a sick patient and maternity care as a profession. So, if you are looking to make a career in Nursing, then GNM Nursing could a smart start. Fulfilling the eligibility criteria is the most important factor in GNM Nursing. If a candidate satisfies the eligibility criteria, then he/she will be eligible to apply for GNM Nursing. The eligibility criteria mainly include age-limit and educational qualifications. Applicant must have qualified 10+2 with Physics, Chemistry, and Biology as compulsory subjects. The minimum aggregate marks required for applying for this course is 45% for General Category and 40% for Reserved Category. The Admission Process of General Nursing and Midwifery usually starts in the month of June of every year. Candidates who have completed Class 12th can apply for this course having Physics, Chemistry, and Biology as their compulsory subjects. The Admission of the candidate into GNM 2019 Nursing will be on the basis of the Intermediate Marks. Well, there are some Institutions that conduct their separate entrance exams for these courses or take students on the basis of the State-Level Diploma Entrance Exams. The GNM Courses offers both Graduate and Post-Graduate Course to the applicants. There are many Institutes that offer a Diploma Course in General B.Sc Nursing and Midwifery. Here, we have listed out of the best Institutes with an approximate annual fee. Thus, here you can see that all the above colleges mentioned here provide GNM Courses. The duration of these courses might vary from different college to college. Generally, the GNM Career Selection is done soon after the 10+2 Exams. There are some Institutes that conduct separate entrance exams for admission. The State GNM Training Allocation Center does not conduct any Entrance Exams, instead, they select the candidates on the basis of 10+2 marks. To Start with, the State GNM first release the Application Form on their respective official website. The usual release of the online form dates is between June- September. After the submission of the application form, the Authority/Department analyzes the scores and categories of the candidates. Normalization of marks is also done. If more than two candidates score the same number of marks in their Exam, then Tie Breaking Criteria is done. Soon after the scanning of the marks, the Department releases the Merit List on their official website. Candidates have to submit their ApplicationID/Number and Password to check their selection status. Thus, the State GNM Nursing Selection takes place on the basis of 10th and 12th Standard marks. Therefore, we advise you to fill in the form and keep the registration number and password safe. However, the declaration of the merit list takes a quite lot of time. But we suggest you stay calm and patient. We will update with the recent notifications here. What are the GNM Nursing Entrance Exams? Now, coming to the Nursing Entrance Exams, there are a lot of Institutes and Universities that conduct the GNM Admission Exams. Some of the Institutes and Colleges select the candidates on the basis of their 10+2 academic scores, whereas, there are some colleges conduct their own entrance exam and select the deserving candidates. Well, as you can see that, these Entrance Exams will take place for both Graduate and Post-Graduate Programs. This Nursing Admission exam is conducted in the country for admission to this course. Before, going for the admission process of GNM Nursing 2019, candidates have to appear the Entrance Examination. Some of the Institutes conducts a separate entrance examination to get an admission into these colleges. Therefore, candidates who are willing to get a seat in the college has to clear the entrance examination. The Exam Paper is divided into sections – Physics, Chemistry, Biology. Some of the Exams do include sections for General Knowledge, English Language, and Quantitative Reasoning and Logical Aptitude. These Entrance Exams have a minimum qualifying mark which will help the Examination Authority to select the aspiring candidates. On the other hand, there are some Institutes that select the applicants on the basis of the academic scores in 10+2 Exam. To begin with, the Syllabus and Academic Course Description, let us talk about the course duration program of Diploma in General Nursing and Midwifery. As mentioned, earlier, the GNM is a three-year course duration program with a six-month Internship Program which is mandatory to take by all the applicants who are taking the Diploma Program. This internship program is done at the end of the course program. After the completion of the Internship Program, candidates will be issued the Diploma Degree. In order to make it more clear, we have given complete details about the GNM Nursing 2019 Academic Course (Year-Wise). The Time Period of the Internship is of six months. Candidates have to complete the Internship anyhow. After the completion of the Internship, the applicants will receive their Diploma Degree in General Nursing and Midwifery. What after the completion of the GNM Diploma in Nursing? Is there any scope of good career growth and opportunity? Well, in a word, in one of the most responsible career. The profession itself holds a lot of dedication, balance, responsibility, and honesty. All in all, the starting stage might be a little slow, but as you know that, the requirement for the qualified and skilled nurses is on great demand. In short, the employment opportunities in this profession are available in various sectors such as Government/ Private/ Educational Sector and much more. Therefore if you have studied for the Diploma in General Nursing and Midwifery, then you must definitely take a look at the career prospects of General Nursing. The Average Salary of a Diploma Candidate in General Nursing 2019, will range from Rs 1.5 Lakhs to 3 Lakhs for a fresher. The Government Sector based jobs will offer a better salary to the freshers. Some of the popular hiring organizations are- Red Cross Society, Anganwadi, Indian Nursing Council, State Nursing Council etc. As the General Nursing and Midwifery is a Diploma Course Program, most of the candidates can apply for the Advanced Nursing Courses. There are a number of courses that are available that the candidates can pursue after the Diploma Program like for example- Auxilary Nursing Midwifery (ANM), B.Sc in Nursing, M.Sc in Nursing, P.G Certificate in Nursing and Doctorate (Ph.D.) etc. These are some of the best jobs that can be taken after pursuing Higher Studies. Salaries offered after GNM followed by PG Diploma or Masters Course can earn up to 4.9 to 5 Lakhs per annum. Specialists, Assistants, Professors in this field can get packages ranging from 5.5. Lahs to 9.5 Lakhs. Therefore, you have a good opportunity even after Higher Studies as well. Top Recruiting Companies Indian Red Cross Society, Indian Nursing Council, State Nursing Council, Kailash Hospital, Metro Hospital, AIIMS, Fortis, Orphanages , tc. Top Recruiting Fields TV and News, Teaching and Education, Travel and Tourism, Hospitality Jobs, etc. Job Positions Clinical Nurse Specialist, Forensic Nursing, In-Charge, and Helper, Receptionist, Brand Operator, Emergency Room Nurse, Traveling Nurse etc. To summarize, The General Nursing and Midwifery Course have a good career scope both in the fields of education as well as in Job Perspective. The Nursing Program has a course duration of 3 years and 6 months of a compulsory internship. To study GNM Nursing, candidates have to appear an Entrance Exam fulfilling the eligibility conditions. Not only this, but you can also go for Higher Studies as well. The course fee structure ranges from Rs 10, 000 to 3 Lacs. The average starting salary package of a Diploma Nursing Student starts from 3 to 20 Lacs per annum which completely depends on your educational and career experience. If you have any queries regarding the Diploma Nursing Entrance Exams, then you can send your queries in the comment section below. 7 What are the GNM Nursing Entrance Exams?